The end of the first decade of the 21st century is just a breath away and already we’ve seen tightened access to cheap water and power, weather anomalies, and fuel at four dollars a gallon. You don’t need to be an environmentalist to use the word "sustainable" any longer; a quick glance at the country’s balance sheets brings that term to the forefront for many businesses, and sustainability isn't just about "green" -- it's fast becoming the by-word for changing the ink on a budget's bottom line from "red" to "black." The winters of 1990-1992 had Ken West, Bereavement Services Manager of the City of Carlisle's municipal cemetery and crematory in the UK, facing a similar set of problems. Britain was deep in the throes of an economic recession. Fuel and inputs were expensive; money was tight, with the costs of burial, land, and maintenance rising. At Carlisle, West had 60,000 graves to maintain, with the populace of a medium-sized city expecting him to be continuously improving his operations and services on a wafer-thin budget. 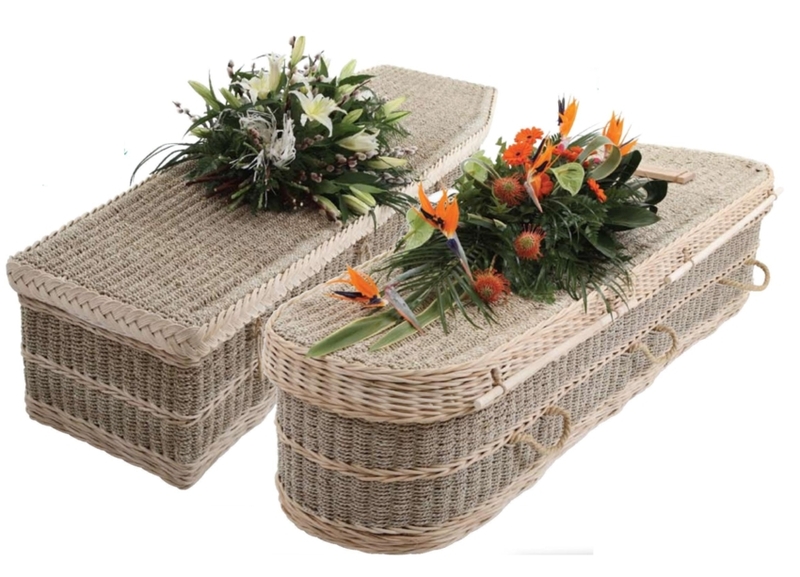 He proposed to city management that, much as it might surprise them, the most cost-efficient solution to the issues stacking up around them was a natural burial program. Several national and international programs calling for environmental and cultural responsibility helped set the stage for his successful appeal. In 1989, cumulative disrepair in old Victorian churchyard cemeteries had communities in a quandary. In response, the Arthur Rank Centre created the "Living Churchyard and Cemetery Project", calling on cemeteries to enhance their wildlife and habitat through applied conservation management while restoring rural churches' sense of pride in the spiritual and cultural heritage their cemeteries represented. [photo - Ken West's Living Churchyard at Carlisle]. Shortly thereafter, the 1992 UN Conference on Environment and Development published "Local Agenda 21," a set of suggestions to conserve biodiversity and involve local communities in aspects of development. UK staff were asked to improve operations by identifying cost-saving and environmentally conserving measures in whatever sector they worked. West's alternative cemetery management proposal was a response to that request. When the recession of the early 90's hit, West had already been implementing low-impact landscape and memorialization options as a way to cut maintenance costs, support the local ecology, and improve customer satisfaction. His plan for the first municipal woodland burial ground in the UK - an extension of Carlisle's existing cemetery that called for biodegradable coffins or shrouds, a tree-memorial planted on every grave when desired, ecological facilities use, and low-input landscaping techniques that allowed the area to approximate a return to nature over time - seemed as though it might answer both the budgetary and client challenges they were facing. Citing Local Agenda 21 and armed with the positive customer feedback his programs had received, West presented a feasibility plan to the Carlisle town council that added "Woodland Burial" as an interment choice. The plan - with 1) cost-savings analysis over a multi-year period comparing conventional landscaping to low-input, 2) a projection of sales income, 3) a natural landscape management strategy, and 4) a marketing plan - was approved, and in 1993 the first site of 96 graves was earmarked for the new scheme. By its fourth year of operation, 35% of the cemetery's burials were in the woodland section, prompting further expansion of the natural option. Woodvale, another municipally-run cemetery in Brighton-Hove [PHOTO - Woodvale at Brighton-Hove] followed suit a few months after Carlisle. In their wake, a wave of public and private natural cemetery projects with infrastructures well-suited for the conversion arose across the UK, all with similar hopes for improving economics, the environment and customer appeal. In some areas, forward-thinking cities took on the task of responding to the new demand. In others, where the municipality was slower to change, vibrant private natural cemetery companies are creating niches for themselves, competing for market by their style of land management and their breadth of service. For some, restoration ecology or accommodating alternative rites is the main focus. 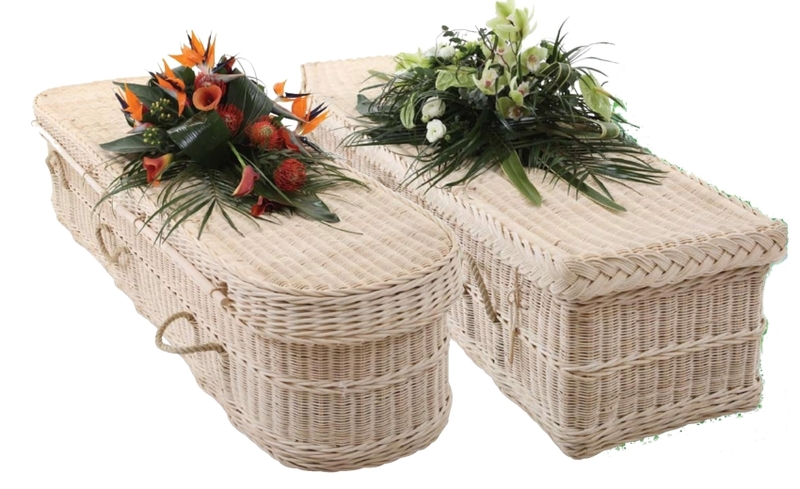 For others, replicating conventional funeral services in a naturally managed landscape is primary. In the long run, the consumers vote with their dollars, proving the market in the process. The cemeteries' difficult task of departing from the accepted norm was eased by a combination of programs and measures that came from charitable and government sectors, validating the cemeteries' transition to natural methods and conservation intents. The fact that many of the techniques saved money and increased sales was an added bonus and didn’t hurt their popularity, either. By 1997, the Mayor of London had signed a Biodiversity Strategy calling upon cemeteries to enhance wildlife and habitat conservation while respecting their primary purpose of supporting the bereaved. The London Planning Advisory Committee issued "Planning for Burial Space in London—Policies for sustainable cemeteries in the new millennium," beginning a painful self-assessment of the city's (and nation's) search for cemetery sustainability that continues to this day. These new strategies publicized the challenges facing cemeteries. They encouraged historic preservation and nature conservation as important civic values, stressing cemeteries as places of solace, history and greenspace with unique characteristics that required special attention. This, in turn, brought the management recognition instead of suspicion for the changes they made. It reinforced positive shifts throughout the industry while also revealing the under-recognized public desire for environmentally friendly dispositions and alternative-memorialization and, in some areas, a shift from cremation back to burial was noted. Supported by taxpayer funds, municipal and non-profit cemeteries began to make adaptations in line with the new recommendations. UK cities and boroughs joined private entrepreneurs in taking pro-active steps, and by 1999 the UK had 180 woodland burial grounds underway. 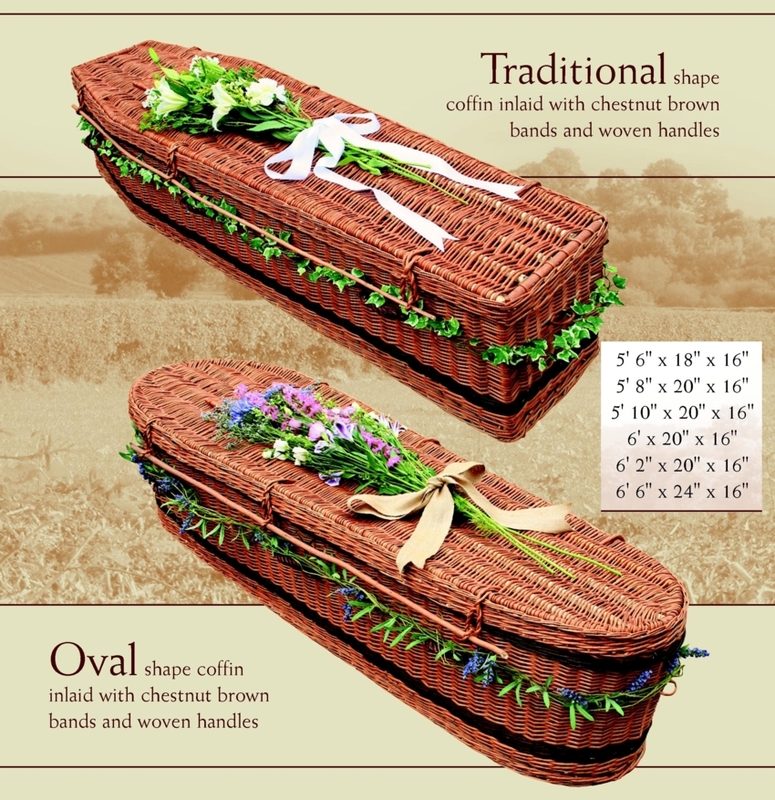 Today, it's estimated that over 250 natural burial sites are operational there, with pending approvals for more around the country. They vary widely in style and contract, and present a healthy mix of municipal and private, each responding to a given market as they see fit. Sustainability as a term gained traction in the last two decades, riding on conceptual advances in mass-agriculture that were originally a result of international food-aid and relief efforts addressed by the UN. Here, charitable managers of country-scale systems encountered long-term land production issues where mismanagement resulted in famine, and where potential future capacity was often in question. Seeking to impart self-sufficiency to these impoverished food production chains, sustainability formulas spread in the 80's, 90's and on into the present, extending from agriculture into landscaping, transportation, energy, and building, and eventually encompassing much of our built environment. Sustainability, in its broadest sense, means '"that which sustains," i.e., that which doesn't deplete, that which prolongs or endures. The definition specific to development states that sustainable acts don't rob the future in order to finance the present. Robert Gillman simplifies it into a forward-thinking version of the Golden Rule: "Do unto future generations as you would have them do unto you." In the case of the UK's cemeteries, with today's generation forced to manage the cemeteries of prior centuries, the maxim is poignant as the costs of that maintenance hit home to people struggling to make ends meet, and it's not surprising that the UK's two hundred years of practice would yield some lessons in how to apply the cemetery version of sustainability's Golden Rule. "Sustainability" has three primary components: social, ecological, and fiscal. Each of these affects the other two when a "full-cost lifetime accounting" is done, and the overall sustainability of an endeavor - i.e., its likelihood of success - is best served when all three aspects are in balance. Sustainability is highly context-dependent, however, and many people are wary of the term, because it's at once so sensible, and so complex. Sensible complex things often become over-simplified. That reduction in detail can lead to confusion and disagreement, resulting in arguments over meaning instead of useful action. It's also tempting to break the concept down into too many smaller pieces and lose the whole as the parts are examined one at a time. Both views must be held - the broad for essential long-term planning, and the parts for effective application. "Sustainability" becomes more apparent when you're picking up the pieces of "unsustainable" acts done by those who've gone before you, and "sustainable" describes the methodology you hope will avoid the current mess in the future. Many examples used to illustrate sustainability today didn't start out trying to be models of such: they were often simply folks facing a problem, and trying to come up with a solution that wouldn't need to be re-invented a short while later by their kids. If history proves them right enough, a backward look at what they did can offer a roadmap as to what others in the same situations might do next. The UK began its era of sustainable cemetery management a few steps ahead of us, in part because by the mid-1800's the country was facing severe problems in its churchyard cemeteries at a time when many of the US sites were just starting. For English cemeteries in the 1850's, the first major sustainability challenges were overcrowding and disrepair, along with extreme health hazards. The population of London grew from 1 million in 1800 to 2.3 million by 1850. (1) One source states that a 16 acre site in Leeds had 180,000 burials recorded by 1845, and the City of London had 483,400 burials recorded on a 200 acre site in 1856. (2) Suitable land was scarce and mismanagement was rife. Eventually, as cemetery operators failed to perform, the British government was forced to take on the upkeep of the once-private cemeteries to stem crime, vandalism, and decay - first through the allocation of charters (1840's) to private joint-ventures for management, and then, whenever profitable private operation proved impossible, as a general public service of municipal ownership through taxation. In 1847-1853 and onward, incorporated town councils received permission under the Burial Acts to close or takeover and operate abandoned cemeteries or create new ones as needed, and today they provide and manage burials for their communities. The cemeteries comply with national environment and public health standards, and are governed directly by local authorities in touch with the specific needs of the population, much as ours are in the US. American cemetery managers have been facing similar challenges for several decades. Rather than municipal take-over, many under-performers have been swept up by capital pools that may not be as comfortable with losses as they are with profits. In the current economy, public 10K reports show fiscal difficulty on the burial front. Perpetual care funds are highly stressed, as are pre-need investments and the insurers that cover them. The true environmental impact of existing conventional cemeteries - much less their possibly more benign natural counterparts - has yet to be investigated, with only a handful of researchers devoted to cemetery soil and hydrological analysis worldwide. Future regulations loom still unwritten, and the picture is an uncertain one in this age of newly transparent accountability. In good times, non-governmental cemeteries and funeral services do help broaden the range of secular and religious choices available, but in hard times, the public sector often has to pick up the pieces when the private ones fail. When tough times strike, it seems as though the proper goal of any cemetery system - public or private - is to focus on sustainability, and the greater stability it implies, as quickly as possible, easing the minds of those that depend on them. If the UK offers any clue to our own future, for private non-governmental cemeteries to endure in perpetuity - i.e., to compete in the sustainability game - they may one day have to replicate the performance, security, and viability, as well as the sound environmental management, of municipal or federally run cemeteries. If so, developing a well-conceived sustainability plan may be your next order of business. Future capitalization may depend on demonstrating you understand all the bills coming due - the social ones and the ecological ones, as well as the fiscal ones. Chances are a superficial greening won't pass muster - you'll need to demonstrate you understand (and believe in) what you're doing, and you'll have to shop carefully, as there are plenty of companies that will sell "green" hype to you, too. You don't need hype - you need tools that work. Quarter-to-quarter expense management may require immediate resource-use analysis and reduction, transitioning the landscape to new conditions and developing new techniques and networks of experience. Master planning that proves your future income stream is in touch with environmental and consumer trends while addressing liability in a balanced manner may be what keeps your investors on board. After all, a cemetery is still forever - and sustainability is a big part of forever. Hopefully, this article has provided some small insight into the historic, economic, social and environmental conditions in the UK that paved the way for the rise of the increasingly popular natural burial movement there, while raising the possibility that North American cemeteries may be approaching that same window of crisis-and-opportunity. If true, and if the requisite supports are forthcoming (and we can look to the UK for what those might be), sustainable cemetery management techniques as introduced by Ken West and others offer an alternative path to success for funeral business operators, both municipal and private, much as natural foods did for the grocery industry, alternative agriculture with landscaping, and solar power and new materials have done for "green" building. Practicing sustainability, starting now, will allow our vital businesses to re-formulate, survive and grow in a manner that does not deplete opportunities for future generations, even in difficult times. (2) "To Prove I'm Not Forgot" by Sylvia M. Barnard, Manchester University Press. 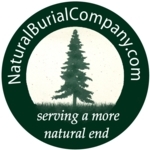 Cynthia Beal is the founder of the Natural Burial Company, offering biodegradable funeral products, marketing support, and consulting to funeral service providers interested in alternative techniques. The NBC's Sustainable Cemetery Management Group, drawing on the expertise of Ken West and Peter Rock of the UK, works with CPRA Studio, Jack Goodnoe, and others to bring West's natural management perspectives to US and Canadian cemetery businesses. 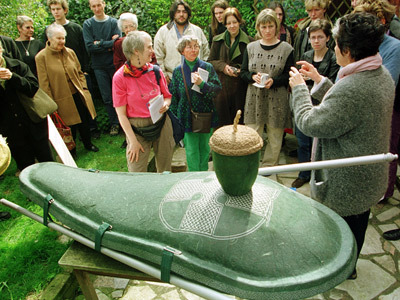 Beal is also the author of the forthcoming book, "Be a Tree, the natural burial guide for turning yourself into a forest," educating consumers and land managers on the possibilities of the emerging natural options. Visit http://www.naturalburialcompany.com for product or consulting services information.